Learn how an Etch-A-SketchR(r) erases pictures! Create a kaleidoscope from your toys! Discover why a SlinkyR(r) slinks down stairs! Experience the science of toys and games with these quick, easy experiments and activities from Jean Potter. You can complete each in ten fun-filled minutes or less, and the clear step-by-step instructions and illustrations help you get it right every time. The projects help you learn about everything from why a swing goes higher when you pump your legs to how Silly PuttyR(r) pulls up comic strips from the newspaper. You will find most of the required materials already in your toy chest, home, backyard, or neighborhood. 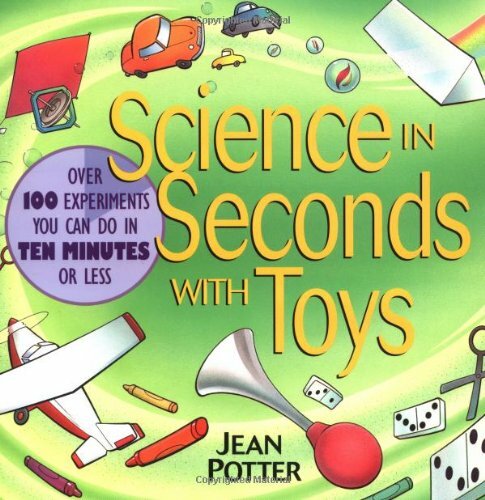 The 101 activities in this book cover every aspect of the science of toys and the games you play, including swinging, bouncing, throwing, sliding, and much more. You'll discover why a football spirals as it zips through the air, learn how to make your cereal jump out of the bowl, find out why goggles make you see better underwater, and make your own homemade paint --all with the help of a leading educator.